Brigitte Andersen has been riding horses since she was six years old. 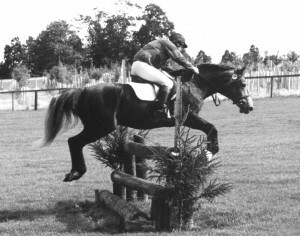 However, it was not until she moved to England that she discovered her true love, eventing. 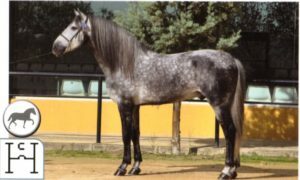 And it wasn’t eventing with any horse – it was with Nike, called Casper at the yard, a ten-year-old purebred Spanish gelding. 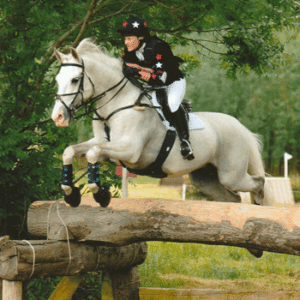 Brigitte was introduced to Nike in September of 2012 as she was just beginning to train under Rob Hulbert of Park View Equestrian Centre in Berkshire. Mr. Hulbert could see straight away that the match between Brigitte and Nike would be a perfect one. 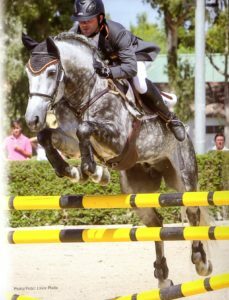 He describes Brigitte as a “calm rider with a confident yet quiet approach to riding,” whereas Nike could be characterized as lively and strong, a beginner at every level. 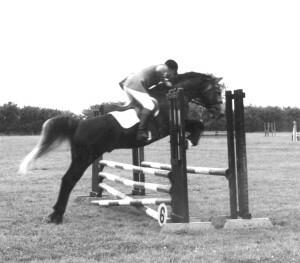 Nike had no jumping experience and had only just begun to trot over ground poles. 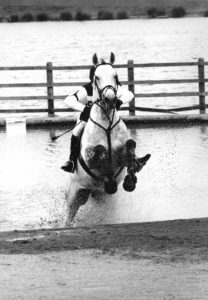 In addition, he was only familiar with the Park View Equestrian Centre and had not traveled to arenas such as Merrist Wood or any of the venues that host the British Eventing fixtures. Nike needed a calm, confident and skilled rider who was encouraged by a talented trainer. Mr. Hulbert pushed them to start small with unaffiliated clear round evenings at Merrist Wood and other local events. 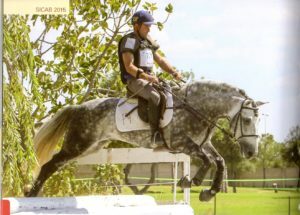 However, the big push came in February of 2013 when Brigitte and Nike registered with British Eventing and began competing first at the BE 80 (T) level and now at the BE 90 level. 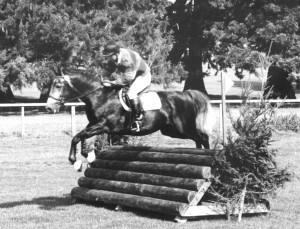 Nike has shown that he is a natural show jumper and cross-country horse completing several clear rounds on the cross-country course and had only one pole down at their most recent event. 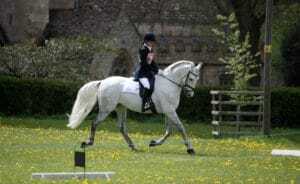 Dressage is coming along as well and with each event showing improvement as Nike settles his lively Andalusian spirit. It is a pleasure to watch Brigitte and Nike compete. 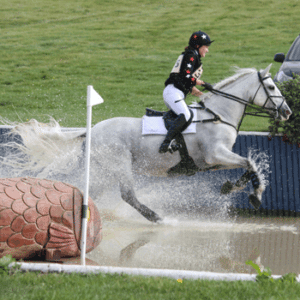 They are both clearly enjoying themselves and have high hopes for another successful affiliated eventing season!